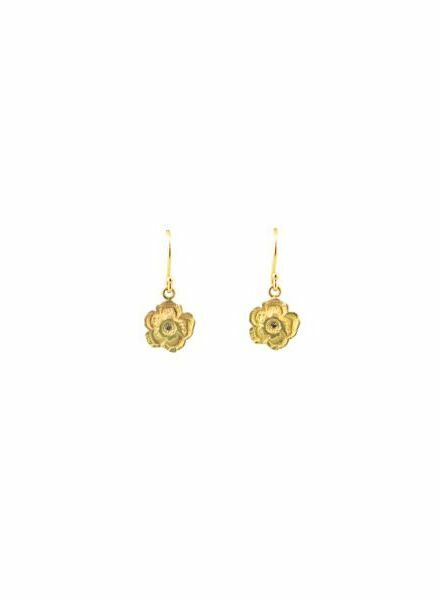 Page grew up working in her grandfather's woodworking studio and learned to carve, and make dovetail joints with him - after graduating from Brown and working a corporate job, she took a wax carving class that brought back her to her childhood passion of creating and carving. Page designs for people like her, jewelry that can transition from dropping off the kids at school in the morning to work and dinner out at night. 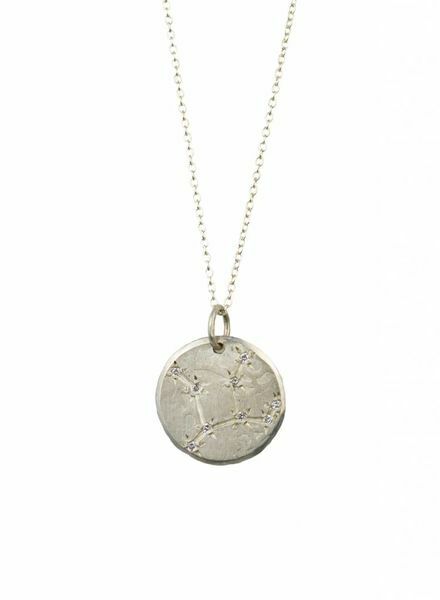 Page's pieces are all handmade in NYC using recycled metals and are sourced with the environment in mind. 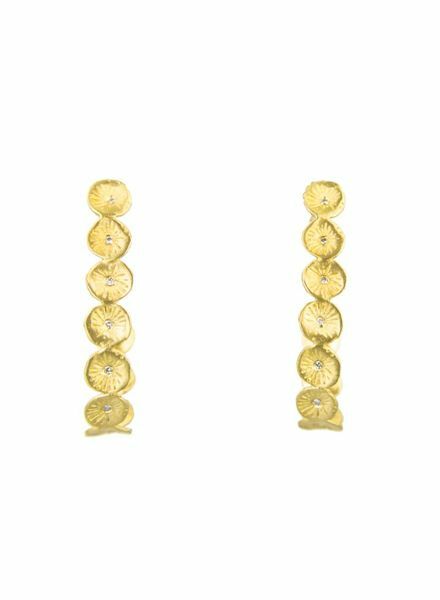 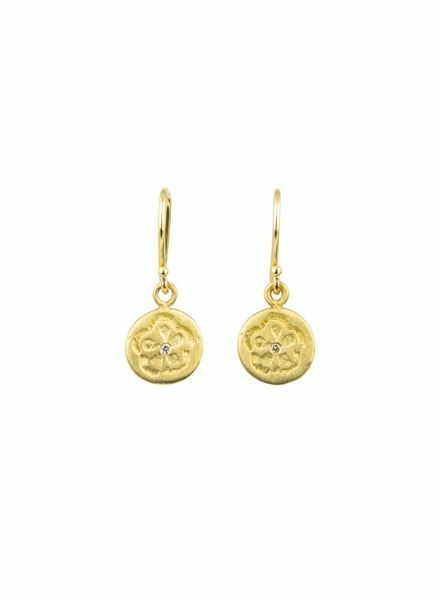 Page uses antique diamonds and diamonds that are conflict free and comply with the Kimberly Process. 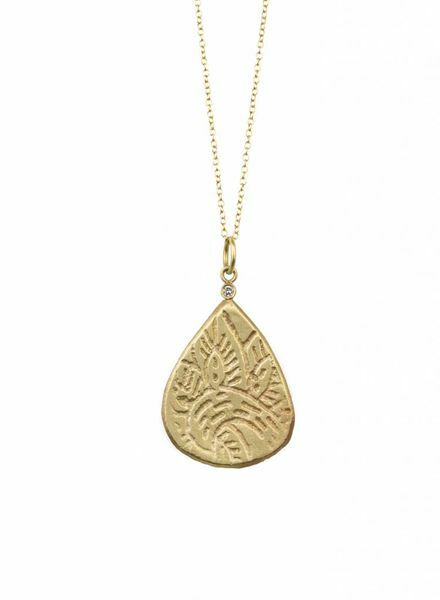 A hammered gold pendant with an embellished diamond. 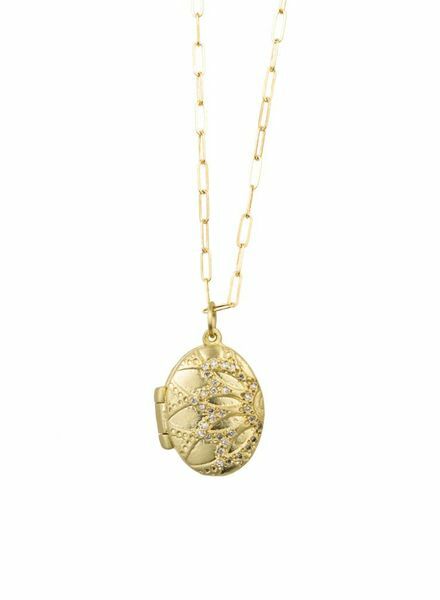 An etched, gold locket embellished with diamonds. 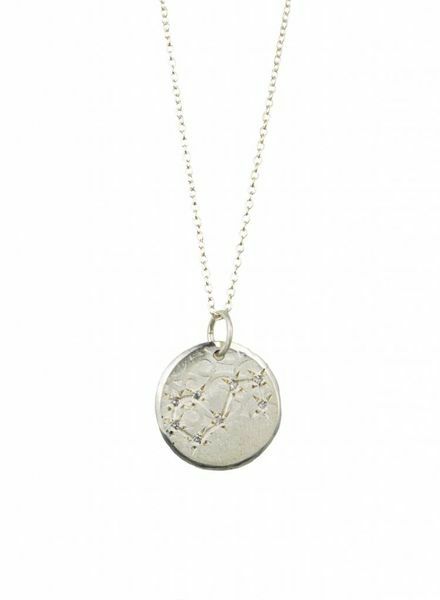 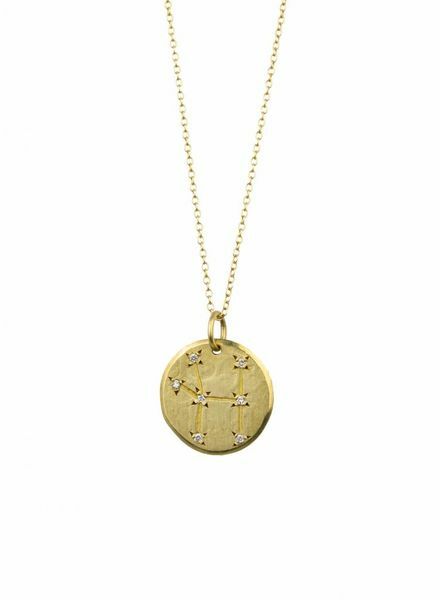 A constellation necklace with diamond studs.